The average temperature across the United States was hotter than any other June in recorded history — going all the way back to 1895. 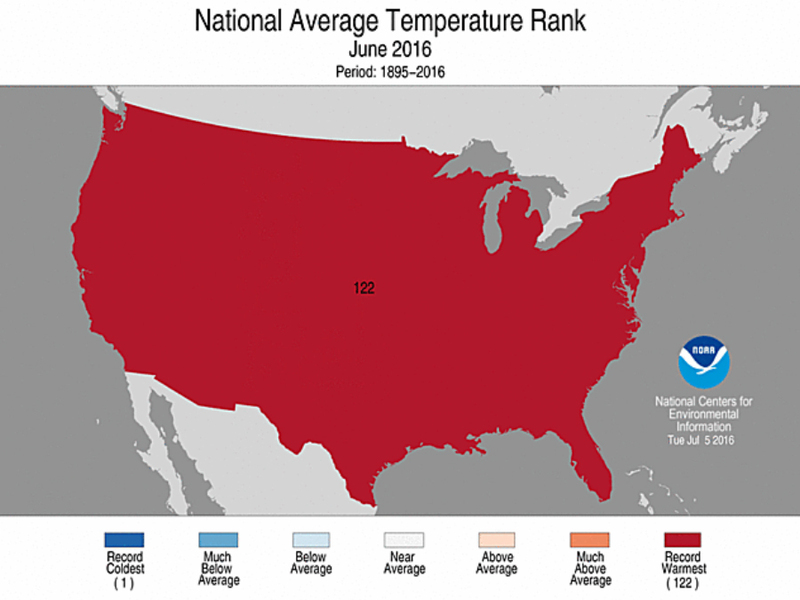 The National Center for Environmental Information released their initial report this week, showing June 2016 was the hottest. Although every state had above average temperatures for the month of June, a significant amount of the heat showed up in the Southwest. 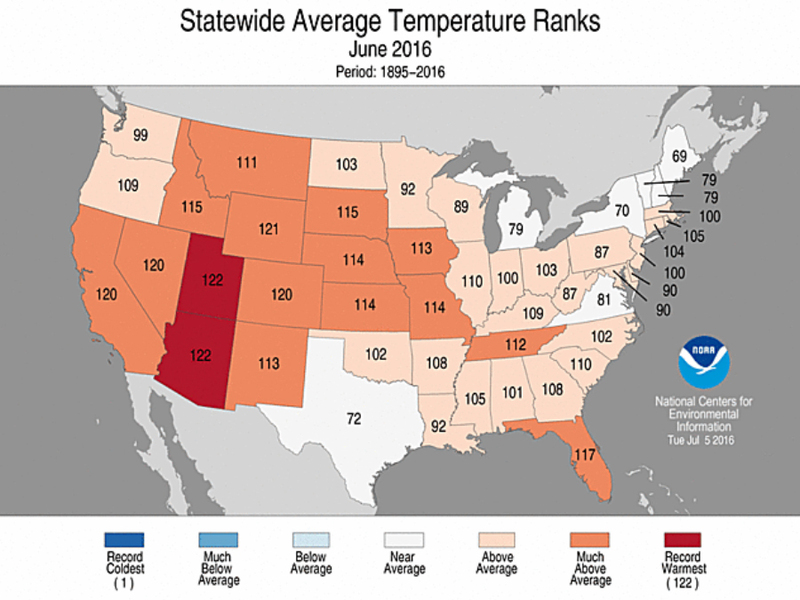 Utah and Arizona both had their hottest Junes on record, and surrounding states weren't far behind. July is on track to be another hot month for the United States with nearly the entire country forecasted to experience warmer than average temperatures. The temperature report for the world is expected to be released next week, and if worldwide temperatures break a record, it'll be the fourteenth month in a row global temperature records are broken.